The central highlight of this transformation, located in New Canaan CT is the incorporation of classic fluted columns to achieve an elegant furniture appearance to the cabinetry. Our client had 1990’s pickled maple, standard cabinets and desired an upgrade to complement their existing granite counter tops and tiled floors. 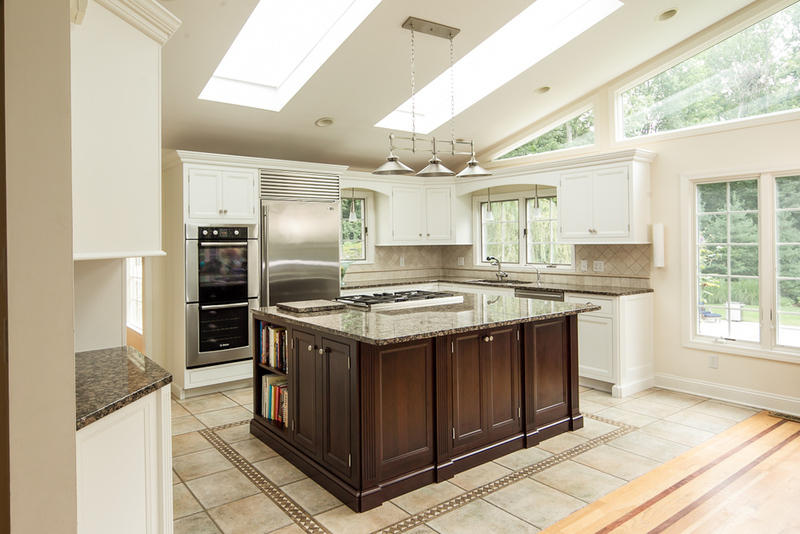 As the kitchen naturally flowed into a great room area, we applied clean white cabinet doors with inset hinging, wainscot panels and graceful light valences. 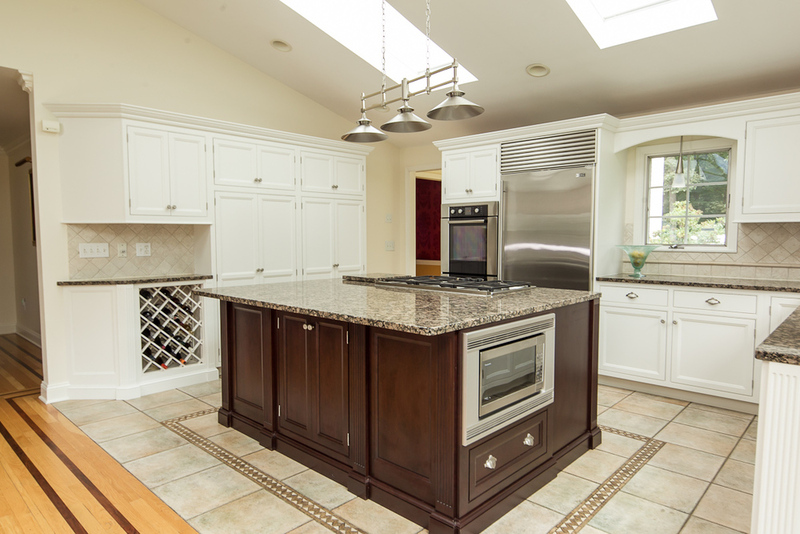 Our unique process allowed our client to save their existing granite counter top, tiled backsplash and floor, without compromising on style. 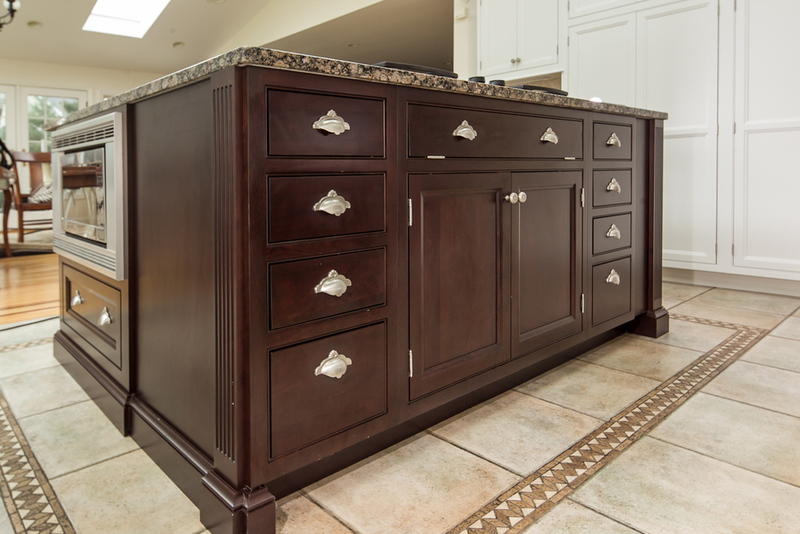 The richness of the dark cherry accent island adds visual impact and completes this timeless look.